With spring soon to be the forgotten season in MA and with summer temperatures coming early next week, is it time to take the plunge and plan your pool and spa project? The design professionals at IVY Studio, an aquatic design and build consultancy firm based in MA have refined traditional pool and spa design and build methodology. We engage with our clients early on in the process and focus on a wholistic approach where the pool and spa are the focal point of an outdoor expansion coexisting with other hardscape features like epicurean outdoor kitchen and dining areas, pool house structures, pavilions, pergolas, fire places & fire pits and outdoor masonry additions. We also seamlessly integrate complimentary plantings, lighting and irrigation. 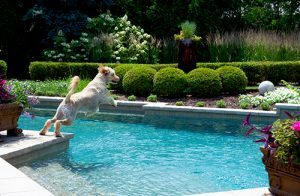 Contact us at 781-591-0330 or vern@ivystudioMA.com to take the plunge and discuss your pool and spa project.